The dashboard layout is clear and easy-to-read, while the touchscreen system is responsive and intuitive, working much like a smartphone. 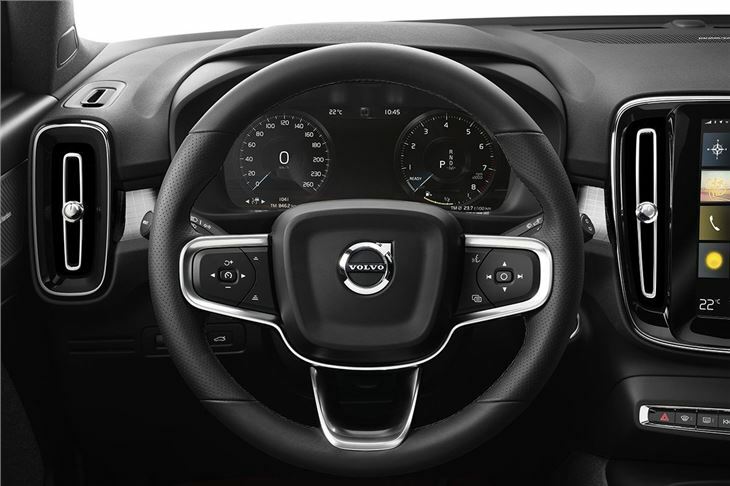 In fact, the interior design is great - although we found lighter colours lift the ambience and make the XC40 feel more upmarket than the usual black. 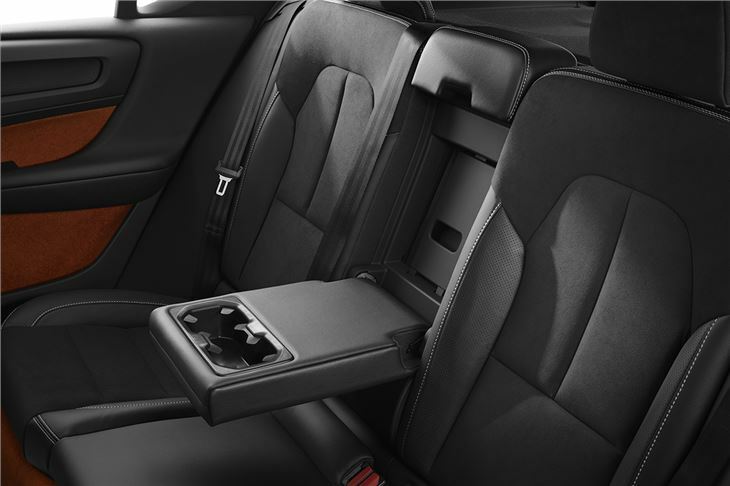 Back row space is excellent, with enough room for adults and wide-opening back doors for easy access when you want to install a child seat. The smart, practical design is most apparent in the boot though. The boot floor has a three-way folding feature that means access to the underfloor storage is easy. But it can also double as a divider to keep heavy stuff from moving around. It also has a pair of bag hooks to stop your Chinese takeaway spilling all over the carpet. Plus you can get the luggage cover to fit under the boot floor without needing a degree in physics. 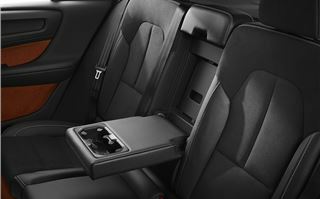 The load area is wide and has no load lip, plus the rear seats fold down to provide a completely flat load deck. 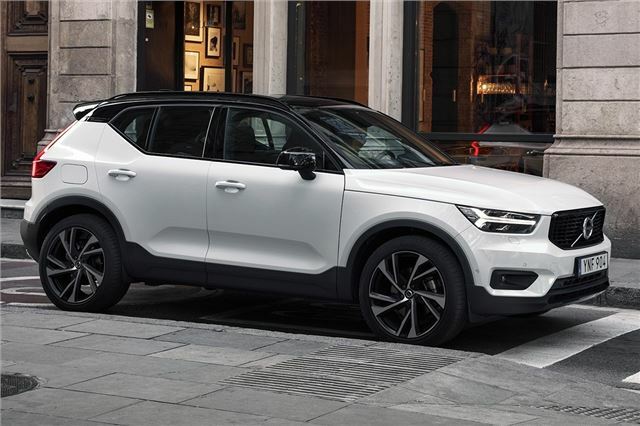 Whether it will stow a washing machine - a test Volvo used to prove the practicality of its old, hearse-like load luggers - is a different matter. 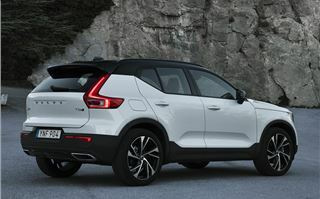 But if you’re more interested in carrying pushchairs and suitcases than white goods, you’ll find the XC40 more than capable. It’s more than capable on the road too. 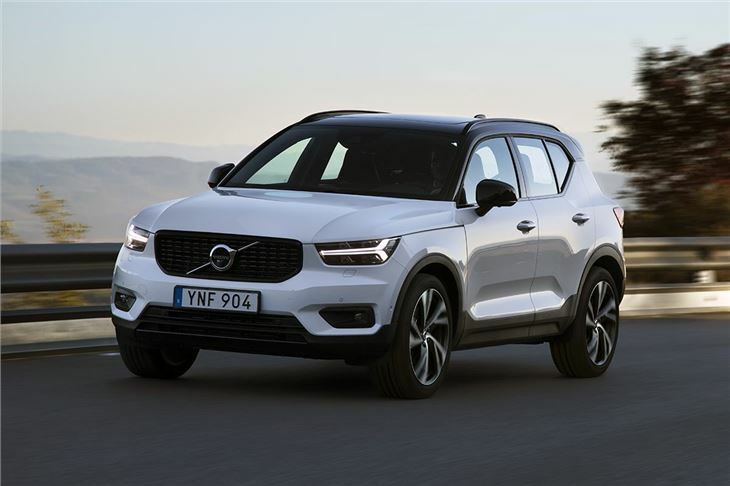 Like other recent Volvo models, the XC40 isn’t designed for particuarly for 'dynamic driving'. Instead, it gets on with the business of being a very good family car. The suspension is set up to provide comfort, it has nicely-weighted controls and excellent refinement – particularly if you go for the 190PS D4 diesel model tested here. It’s a punchy, smooth and quiet engine with plenty of overtaking oomph and barely any noise, even at motorway speeds. It comes with all-wheel drive and an eight-speed automatic transmission as standard and is one of two options for early buyers, the other being a similarly strong, smooth T5 petrol. Eventually these engines will be joined by a D3 and T3 with front-wheel drive and manual transmissions, plus a hybrid version. In other Volvo models, the R Design trim level is the most popular choice, so the same is expected with the XC40. Aside from sportier styling it comes with slightly stiffer suspension than other trim levels. But even on big, 20-inch alloy wheels the ride quality is still very impressive over bumps and uneven surfaces. Despite that, grip levels are superb and there’s barely any roll when changing direction. It feels safe and secure. The XC40 is also available with Pilot Assist. This is a semi-autonomous system that takes care of steering, accelerating and braking when driving on the motorway. It will even bring the car to a stop in traffic, effectively taking over the worst bits of daily driving. You do need to have hands on the wheel at all times, but it definitely takes the drudgery out of a boring, busy commute. 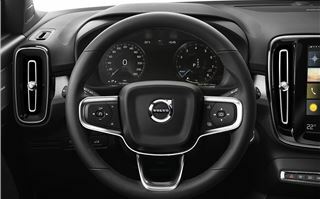 Other handy stuff includes a 360-degree parking camera that makes getting into tight spaces much easier, plus features that have been present in other Volvo models for years – like blind spot warning and auto emergency braking with pedestrian detection. There’s plenty of other extras too, like the crisp and powerful Harmon Kardon audio system. It’s an expensive extra though – and it's not the only one. 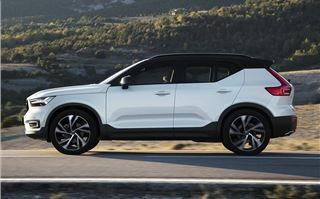 While the XC40 does come with a very generous level of standard equipment - prices start at £28k - it’s still possible to spend thousands on extras. Saying that, the XC40 is on par with the alternatives from BMW, Audi and Mercedes-Benz when it comes to cost. Those cars don’t, however, has the same character as the Volvo. 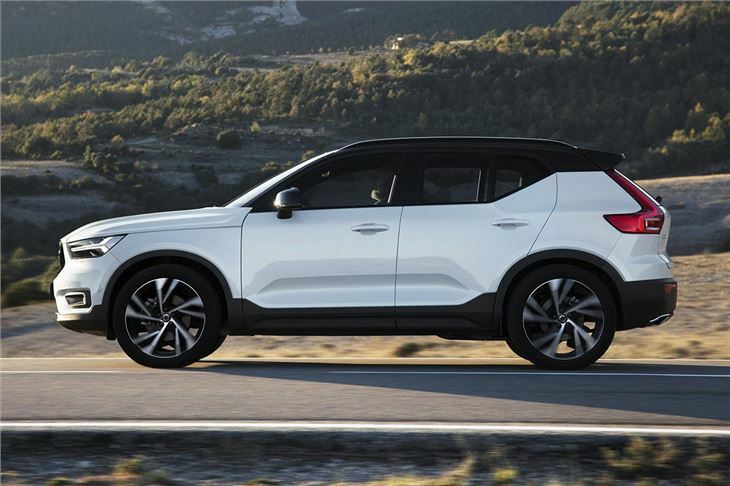 And that’s what really makes the XC40 such an impressive car. 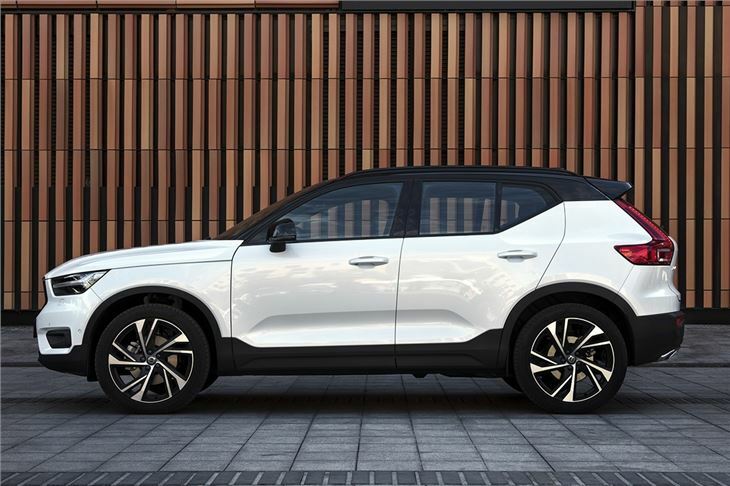 It doesn’t feel like Volvo is trying to keep up with its rivals – instead it’s doing things its own way. Some people may prefer the German approach, but now there is an alternative that manages to be just as classy, exceptionally safe, yet more comfortable and practical. And with a very welcome dose of Scandinavian flair.